Exams are one of the most difficult period of time in a student’s life. Many students have a habit of procrastinating their work that leads to such problematic situations where the students are unprepared and have their exam dates in their hands. 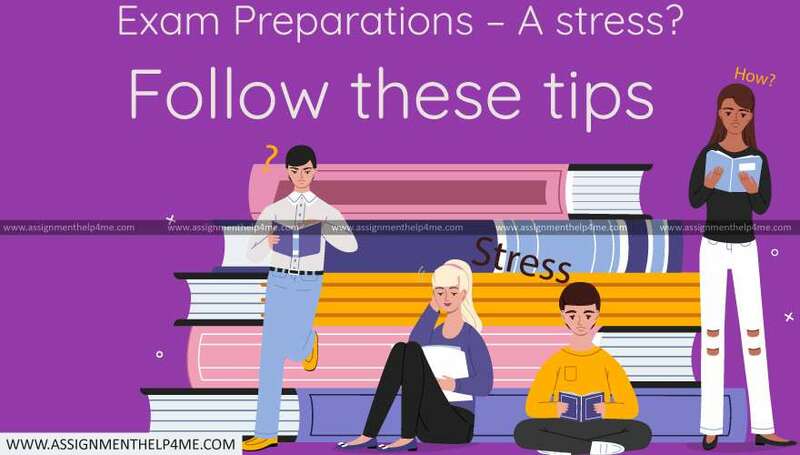 Hence, it is very important to plan the routine accordingly so that the students are able to manage their time and prepare for the exams effectively. Identify your working style and make a study schedule in such a way that nothing is left for the last minute. Though, there are a number of students who believe that they would be able to manage their work. This type of partial studying will not be helpful especially during the exams. Prepare a list of all the subjects you need to work on and the syllabus that you have to cover. Thus, try to organize your work in an effective way and study accordingly. It is obvious that you will get the home assignments to be completed. For that matter, it is very important to sit in an organized and clean place to carry out your homework effectively. Spare out enough space for your notebooks, and for yourself too. Remove all the distractions that come your way and study comfortably with full concentration. Thus, it is good never to study in a cluttered place. By revising the topics interestingly through visual aids, the students are able to understand it in a better way. The moment you begin with a particular topic, start jotting down the points in a separate notebook. As the exams arrive, transform your notes in the form of flow charts, diagrams etc. this will help you to know the steps of how to go about in the topic. If you plan to study with your friends in groups at least twice a week, you are able to finish up your tasks faster. Make sure that all the focus is on a single subject and there are no distractions at all. It is very important to take regular breaks in order to stay focused. By studying for long, you won’t be able to retain everything till your exams. Thus, it is necessary to take consistent breaks in routine and choose the best study style for yourself. Don’t eat unhealthy food while you are preparing for your exams especially. Try to intake natural, fresh and vitamin rich food as it will keep your body and mind fit. This will help you to improve your concentration levels. There are students who think that by studying the whole night, they will be able to cover a maximum of their syllabus, but, it is not true. It is very important to take a minimum of seven hours of sleep at night for a human body to stay fresh. And if the students are sleep deprived, they won’t be able to put all their efforts in their exams, thus, the output may decrease. All the above mentioned tips are really helpful for you to study during your exams. If you face issues in managing your time and syllabus, you can use Homework Planner, and prepare an effective plan for yourself. This will help you to devote sufficient time that is required by the subject.